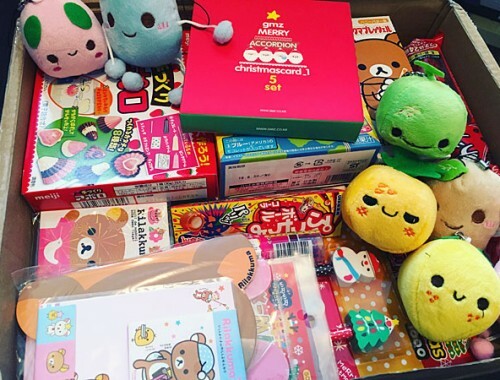 Creighton's x Gudetama Easter Chocolate Review - Super Cute Kawaii!! 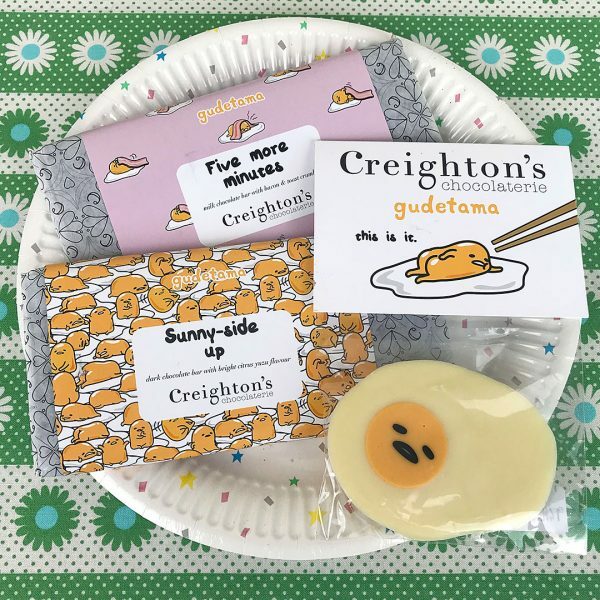 Back in October, we tried out the Gudetama chocolate range by Creighton’s and now there’s a new limited edition bar for Easter. 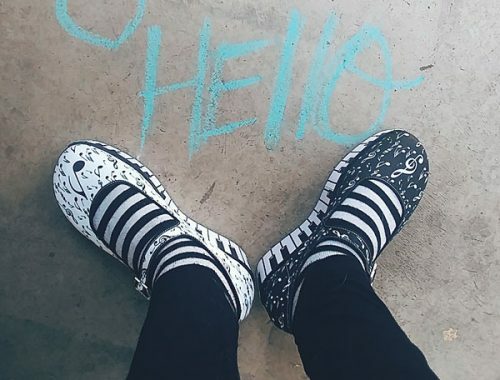 They were kind enough to send us one to review and there’s a discount code for you too! The new chocolate bar is called You Are So Eggstra and features a very kawaii pastel wrapper design with Gudetama as an Easter egg. 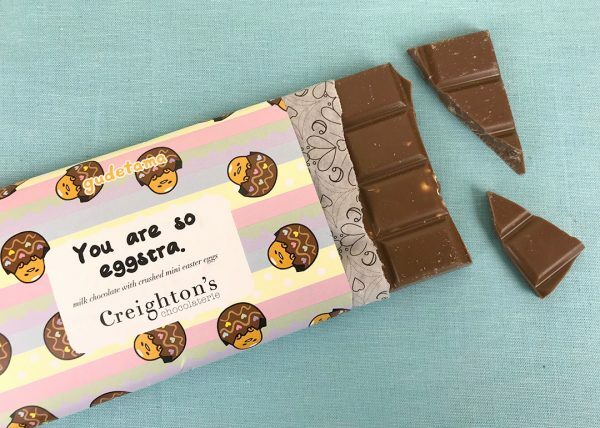 Creighton’s is the only company making licensed Gudetama chocolate so you’ll want to snap up this bar before it disappears. 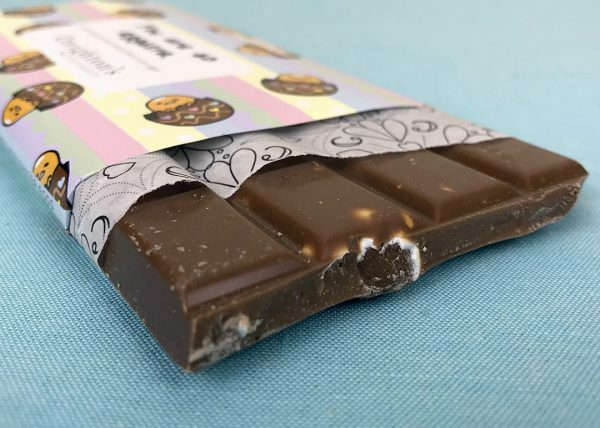 Each bar is handmade in the UK from Belgian milk chocolate and there’s smashed mini eggs inside! 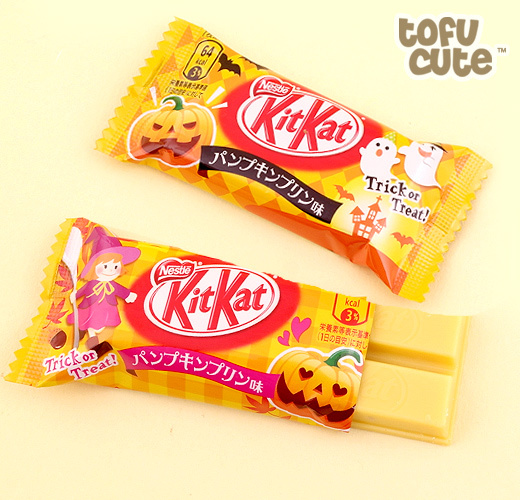 While that’s essentially just more chocolate, the candy shells add some colour and crunch to keep things interesting. 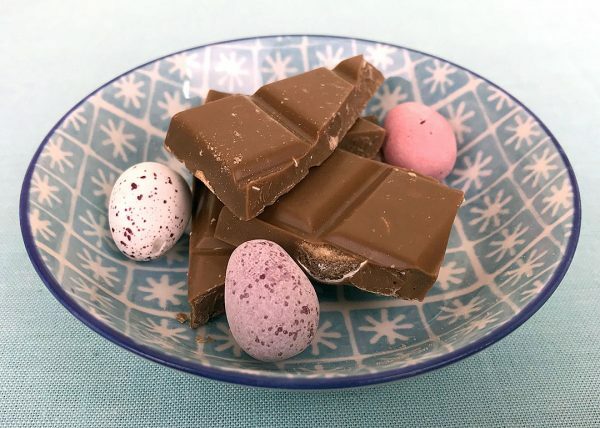 You can definitely tell it’s a good quality chocolate – it’s smoother and less sugary than the usual brands and I found it far too easy to keep picking up another square. I would maybe have liked a few more larger mini egg pieces but there were small bits in every piece. If you’re a milk chocolate lover, you should give this a try. I usually prefer dark chocolate so the yuzu bar is still my favourite. This would be a great Easter gift for any Gudetama fan though, and make a cute change from the usual eggs. 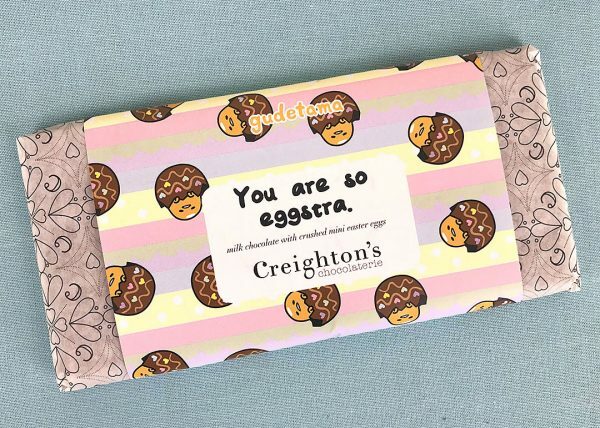 Creighton’s have provided us with a discount code so you can try out the Gudetama chocolate (including yuzu, bacon and popping candy) or anything else from their range. Get 10% off any order with the code GUDE10 (expires 30th April 2019, one use per customer). There’s also free UK shipping until Sunday but they can ship worldwide too. 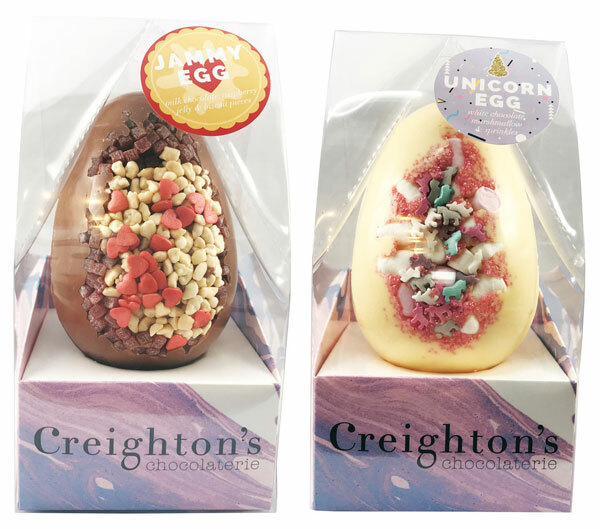 If you need some further tempting, check out these cool Easter Eggs or browse the full list of flavours. There’s everything from marshmallow, glitter and popping candy to British biscuit-inspired bars and even sugar-free and vegan options. Most bars are £4.50 with some cheaper mini bars and sale options available too.